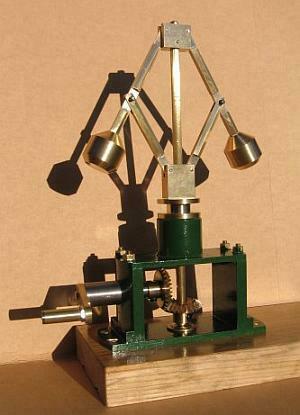 On his blog featuring model engineering projects, Adam Richard Cooper has intricately detailed plans for making a Model Watt governor–the part that regulates the speed of steam engines by acting as a negative feedback system–that he designed himself. His post includes construction notes and CAD drawings along with a large photograph of the completed governor. He notes that his design is hand-cranked and lacking a valve lever, which he didn’t have time to complete. At his blog Adam has other model engineering related posts including a review of tungsten carbide tipped tools for the lathe and a project that makes two cones joined at bases, which, when set at certain angles, appear to roll uphill. thanks, nice easy design to scale up or down. Click on the words “intricately detailed plans”. That takes you to Adam’s blog page, where there is a download link. Clicking that link DL the plans in .zip format.